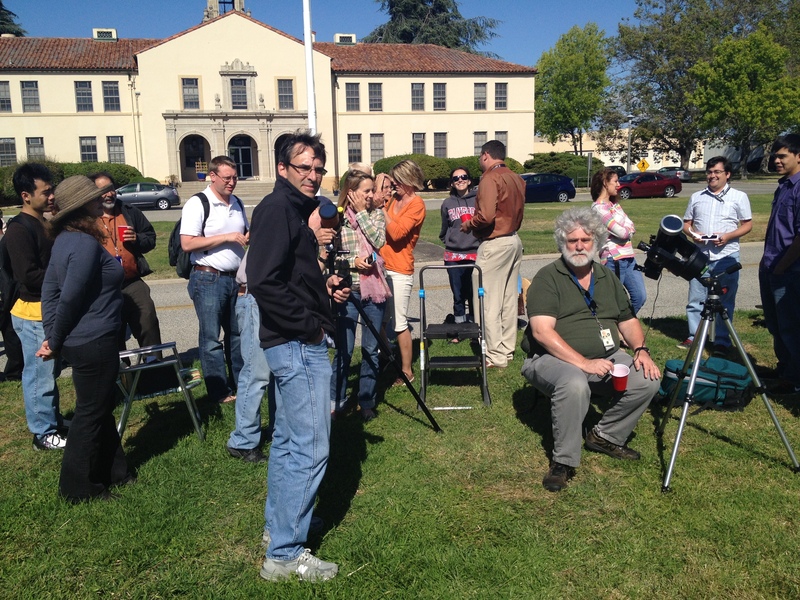 This video is a compilation of 20 photos taken by Brian Day, NLSI Director of Communication and Outreach, at NASA Ames Research Center during the June 5th, 2012 Venus Transit. News media and the public observed the transit of Venus broadcast live from atop Mauna Kea, Hawaii, beginning at 3:04 p.m. PDT Tuesday, June 5, 2012 in the Exploration Center at NASA’s Ames Research Center, Moffett Field, Calif. The June 5th transit was the final opportunity to witness the rare astronomical reunion until 2117. 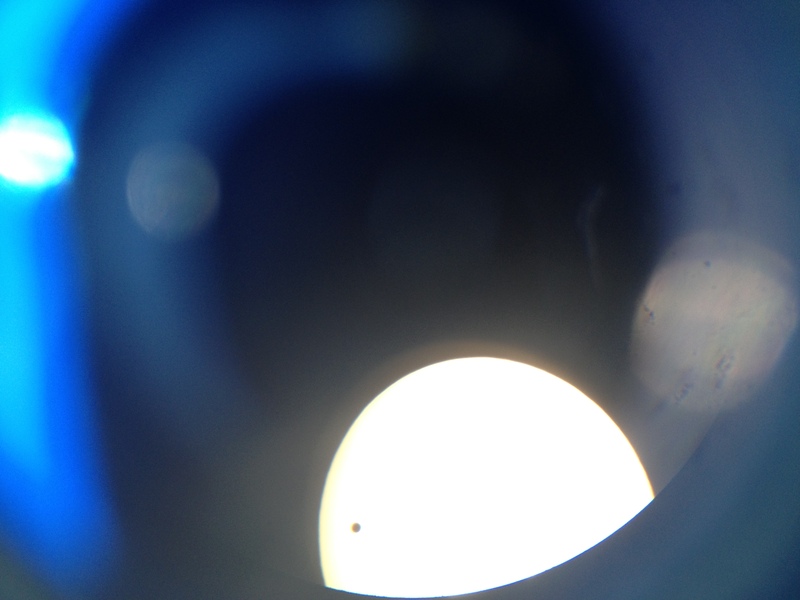 The transit occured when Venus passed directly between Earth and the sun. Viewers saw Venus as a small dot drifting across the golden disk of the sun. There have been 53 transits since 2000 B.C. The rare event occurs in pairs, with the last transit occurring June 8, 2004. Jeremiah Horrocks, a young English astronomer, recorded the first observation of a transit in 1639. In 1769, survey crews, including Captain James Cook, gathered transit data from various locations around the world that were used to calculate the distance between Earth and the sun and the size of the solar system. 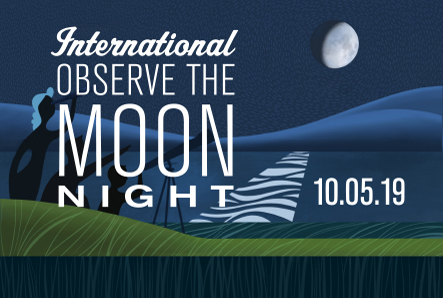 Today, transit events are used to detect planets beyond the solar system. NASA’s Kepler space telescope measures the change in brightness from distant stars when a planet passes in front of the star. Kepler has confirmed 61 planets and more than 2,300 planet candidates using the transit technique. In addition to seeing the broadcast, attendees had an opportunity to participate in hands-on activities and safely viewed the transit of Venus through solar filter glasses and telescopes. Kepler mission scientist, Natalie Batalha, discussed the Kepler mission and the transit event’s significance. Other Kepler and planetary scientists were on hand to answer questions. NASA’s Ames Research Center in Moffett Field, Calif., manages Kepler’s ground system development, mission operations and science data analysis. JPL managed Kepler mission development. Ball Aerospace and Technologies Corp. in Boulder, Colo., developed the Kepler flight system and supports mission operations with the Laboratory for Atmospheric and Space Physics at the University of Colorado in Boulder. 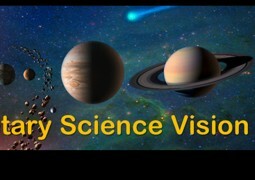 The Space Telescope Science Institute in Baltimore archives, hosts and distributes Kepler science data. Kepler is NASA’s 10th Discovery Mission and is funded by NASA’s Science Mission Directorate at the agency’s headquarters in Washington. Materials from community workshop at NASA headquarters on Feb 27–28 and March 1, 2017 have been posted to the new website.